When you’re trying to lay floors that will stand up to the test of time, travertine tile arranged in a Versailles pattern makes a classic choice. Travertine is a popular choice for floors both inside and outside the home because it provides a wide variation of color options and remains incredibly durable. This flooring material varies from rustic and matte in texture to highly polished and elegant. The Versailles pattern, also commonly referred to as a French pattern, is among the most popular choices and with good reason. A variety of scale, easy-to-install pattern, and timeless look are just a few of the benefits of the design. What is the Versailles Pattern? The Versailles or French pattern is a classic design that combines two 8×8, one 8×16, two 16×16, and one 16×24 to create an 8 square foot area. 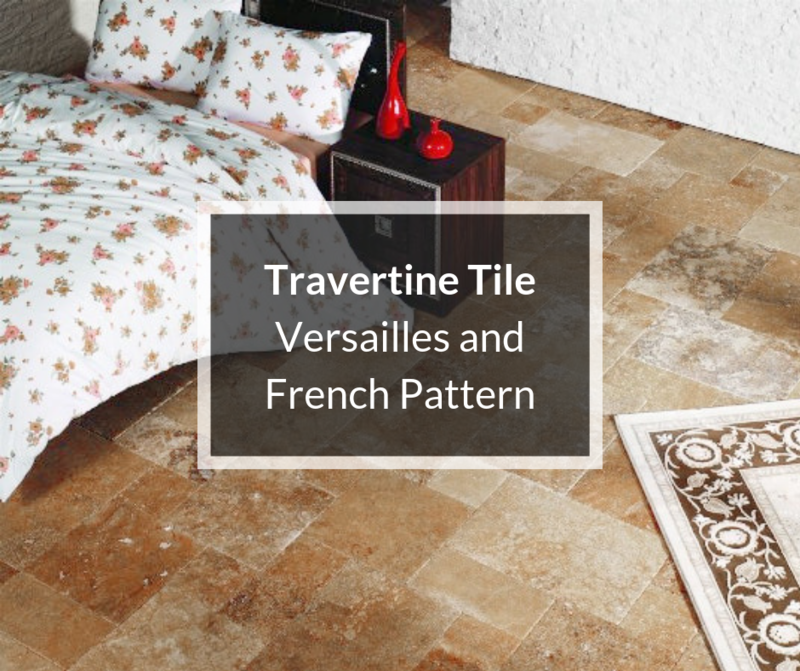 The pre-bundled tiles for the Versailles pattern are typically sold in palettes of 416 square feet. The edges of the design are designed to fit in perfectly with one another, making it easy to extend the pattern out in all directions. The appealing combination of large and small tiles makes this pattern a great choice for virtually any size room or layout and easily transitions from one space to another. This pattern offers a seemingly random design that is actually much more thought out. The free form design of the pattern makes it flow smoothly down hallways and into the next room, working around walls, nooks, and doorways with ease. The varied nature of the pattern helps to hide walls that aren’t quite square and other imperfections in the layout. The Versailles pattern carries with it a number of advantages that make it a go-to-choice for virtually any room in residential and commercial properties. Its timeless appeal, the versatility of use, and cost-effective arrangement of tiles are all reasons this pattern continues to be a popular choice for floors, bathroom walls, and kitchen backsplashes. One of the greatest advantages of the French pattern is the visual appeal of the design. The repeated design makes this pattern makes the flooring easy to install. The flowing arrangement of the tiles helps to provide a timeless, old-world look to the finished design. Because of the casual nature of the design, it is best suited for tiles with chiseled or honed edges with a matte or light polish. 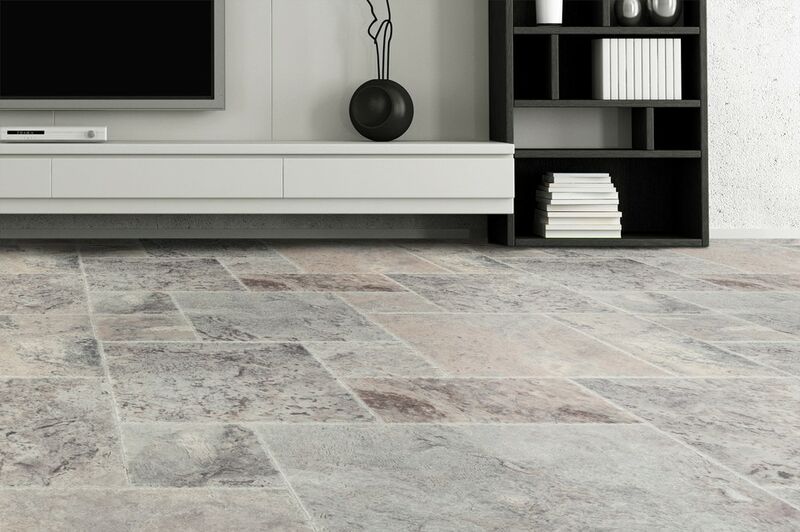 Travertine tiles with a matte, rustic look are the perfect pairing for the classic pattern. The rustic edges are a perfect pairing for the vintage-inspired look of the pattern. The variety of sizes featured in this pattern give it a scale that is ideal for small rooms and expansive rooms alike. Feature one flooring throughout multiple rooms helps to give a home a cohesive look and makes the space appear larger. Carry the same French pattern from the foyer through the rooms and into the bathrooms as well. It can even be carried up a shower wall. Because the Versailles pattern utilizes a combination of large, medium, and small tiles, it is also a cost-effective way to lay flooring. Larger tiles are more expensive and creating an entire floor of large tiles alone can be very costly. Using all small tiles, on the other hand, would get far too busy for large rooms where a larger scale is necessary. The Versailles pattern helps to keep the cost affordable because it features large tiles broken up with smaller tiles that are less expensive. As with any flooring project, the first step in installing the Versailles pattern is taking careful measurements of the space. The sizes of tiles included in the Versailles pattern allows it to be arranged in a variety of ways. The 8-inch, 16-inch, and 24-inch sides of the tiles make them easy to nestle together. Try using two bundles to create a 16-square foot pattern with a staggered edge on all sides for an easy repeat. To keep the pattern lining up correctly, ensure that the spaces left between tiles are consistent by using a standard spacer. After installation of the tile is complete, grout should be added to coordinate with the colors of the travertine and complete the look of the pattern. Tiles with textured edges allow grout to fill the rustic spaces, continuing the old-world look of the pattern. 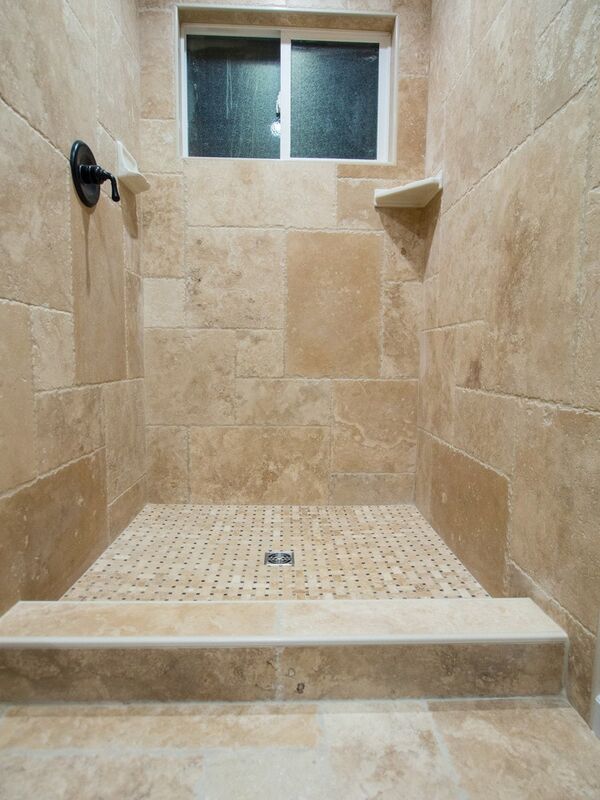 Travertine is a naturally porous material that is susceptible to stains and damage if left untreated. The final step of installing a travertine floor is applying a sealer over the tiles and the grout. Follow the sealer instructions to allow for proper curing and make sure to note the recommended time-frame for resealing the travertine floors to keep them looking like new. This pattern isn’t only suitable for travertine tile. The same arrangement looks chic with porcelain, marble, or slate tile and even glass tile if the sizes are compacted to a smaller scale for use on a backsplash. Simply changing the material of the floor, backsplash, or walls can give this pattern an entirely new look. The Versailles pattern’s variety of benefits makes it a timeless choice for laying travertine floors inside and outside the home. The universally sophisticated look of the pattern makes it a great choice for a large great room, small bathroom, and every space in between. This is not the only pattern used for showcasing travertine tile; chevron, herringbone, diamond, and subway tile patterns are also popular arrangements. While all are suitable options, the Versailles pattern is the most likely to stand up to the test of time with its visual appeal.